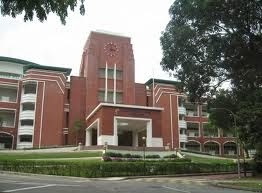 Anglo-Chinese School (Primary) is located at 50 Barker Road in Singapore 309918. It is enclosed within the Novena Region. Novena is situated within the Central Region of Singapore. Housings within the area is more expensive that the others because of its prime facilities and location. Novena Region is primarily composed of condominiums and private houses. Closest MRT station is Newton MRT and nearest bus interchange is Tao Payoh Bus Interchange. Amenities in the area include Goldhill Plaza, United Square Shopping Mall, Velocity @ Novena Square, Far East Plaza, Cold Storage and NTUC Fairprice. Other schools nearby are Catholic Junior College, Singapore Chinese Girls Primary School, St. Joseph’s Institution and Balestier Hill Secondary School.